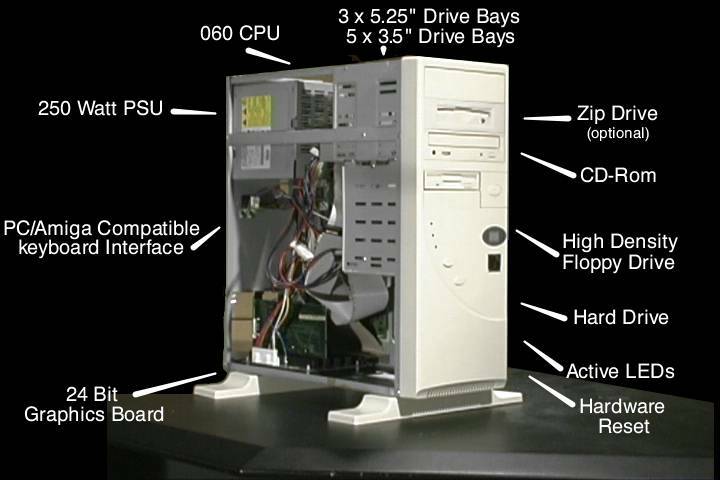 The Alpha was basically a pre-built towered A1200 which would be configured and built to the customers specifications. It was usually supplied with either a Blizzard 1260 or a Blizzard PPC accelerator, AteoBus Busboard and a Pixel 64 Graphics card. The unit is capable of auto-sensing between Amiga and PC keyboards, but was supplied with a PC Windows Keyboard by default.